Marketing campaigns are the perfect way to reach your customers, clients, and leads. They can be the game-changing move that secures meetings with customers or prospects. Producing campaigns with a series of touchpoints will grab someone’s attention better than a single advertisement. You need to break through the clutter when promoting yourself, and marketing campaigns with incentives can do that for you. Also, adding an incentive lets you follow up with customers. It lets you explain your services and promote your brand even further. This makes marketing campaigns an important piece of any B2B sales strategy. 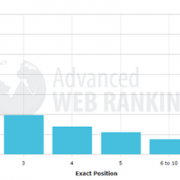 It’s helpful whether you’re keeping in contact with current clients or finding new leads. 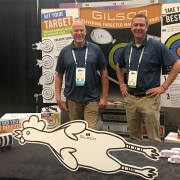 Standing out from the crowd isn’t easy, but Gilson has the right amount of magic to grab a customer’s attention. We can show you the effectiveness using our recent Holiday Elves 2017 campaign as an example. Don’t believe us? The elves speak for themselves! 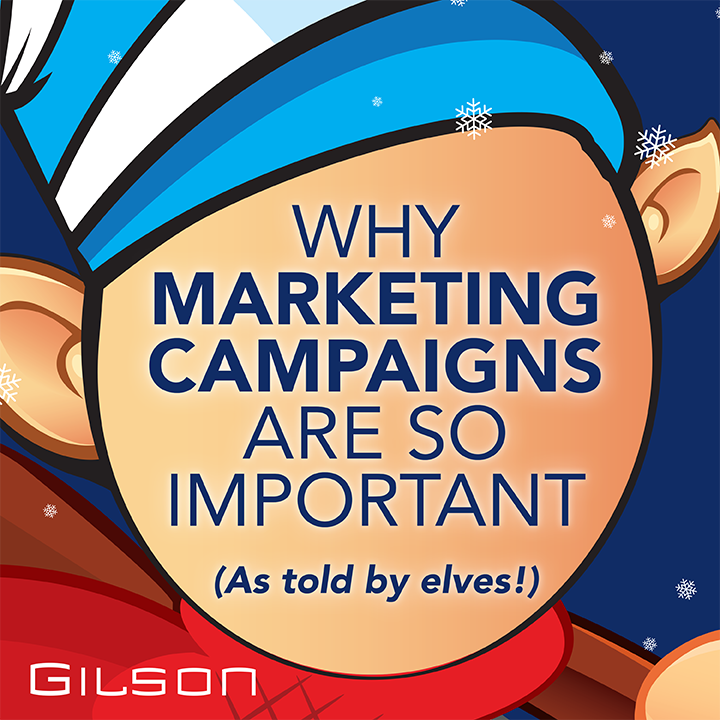 This year we revived our hugely popular Holiday Elf marketing campaign. 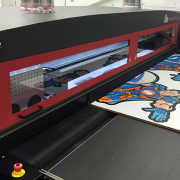 We invited customers and clients to create a customized cardboard elf we would ship to their work or home. 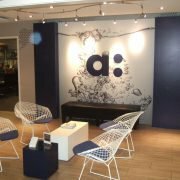 This campaign was important because we wanted to show our customers and clients appreciation while also showing them what we could provide for them in a marketing campaign. 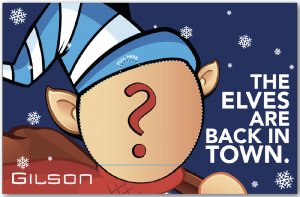 The elves were a big hit when we did them last year, but we decided to switch it up from last year’s graphics. 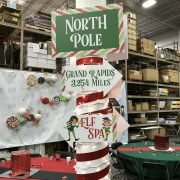 We wanted clients to have their very own custom elf, but we also wanted them to have some fun and funny duties to choose from at the North Pole. 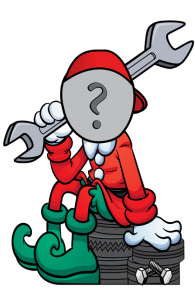 We decided to go with a few festive designs that included some classic holiday jobs along with some dirty elf jobs. 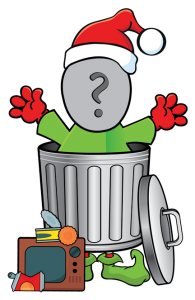 We offered our clients the option of uploading their own photo or choosing from one of our cute cartoon faces to complete their little helpers. Everyone loved the traditional and bad elf jobs that we let them customize, and we had a healthy mix of cartoon faces and original photos. Running the campaign was a multi-step process. 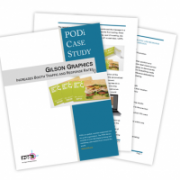 We planned the touchpoints, created the assets, and then executed the plan. Here are some of the behind the scenes steps showcasing the importance of planning out a campaign. 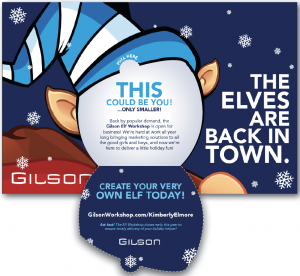 We launched the campaign with a mailer inviting people to create their own elf. Inside was a pURL (personalized URL) address that contained their name and contact information. That pURL took them to the website and let them upload their photo and build their elf from the ground up. From there we sent reminder emails and a letter that invited guests we hadn’t heard from to join in on the fun. We started with a fun mailer that invited people to the campaign. This mailer had a pull-away mystery face and fun graphics to invite clients to upload their very own face. We sent follow-up emails to clients that didn’t respond to make sure we included everyone on our list this year! These emails were simple and text-based to make sure that photos and images didn’t bog down a client’s inbox. And between emails, we sent a reminder letter with some photo examples of elves from our previous campaign. 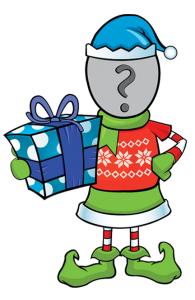 We sent the printed elves wrapped up and banded to all of our campaign participants so they could unwrap them for the holidays. Each elf was folded, wrapped with a band, and shrink wrapped for delivery. 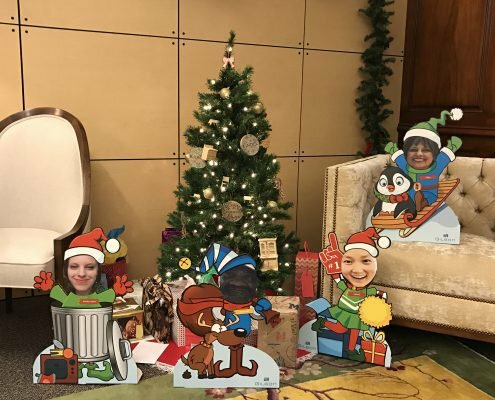 The direct mail campaign had a whopping 30% response rate, and soon we were flooded with images of fun and happy elves ready to make the season bright. 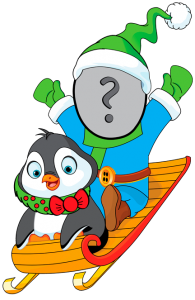 And since we sent out invitations to nearly 2,000 customers, clients, and leads, that’s a holly jolly lot of helpers we sent out into the world. 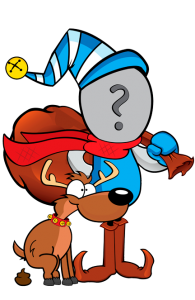 When it came to popularity, the Cheer Squad and Reindeer Handler were our two most popular, with over 170 submissions for each elf. 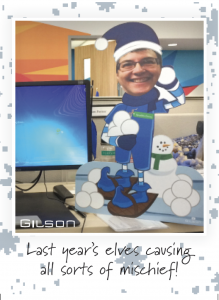 The elves were a huge hit again this year and people couldn’t wait to send us photos of their happy helpers! Clients emailed and posted photos of their elves around the workplace and helped spread the holiday cheer that we were happy to provide. 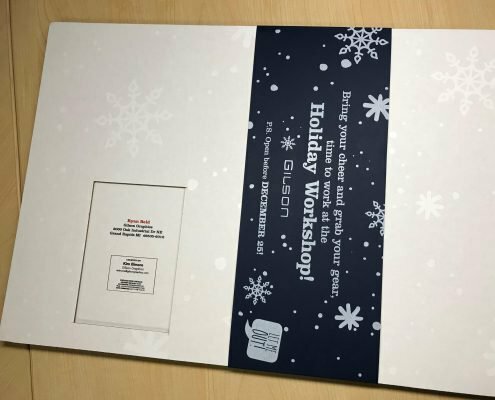 The campaign was built on the simple idea of letting clients customize their own printed piece and showcased just how fun and effective a marketing campaign can be during the holidays. 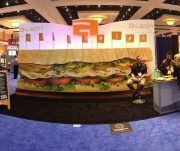 We were also able to use a wide range of our services in the campaign, including creative, large format printing, web services, and fulfillment. Marketing campaigns are one of the best ways to engage with your clients and promote your brand. A little creativity and a lot of hard work can go a long way. 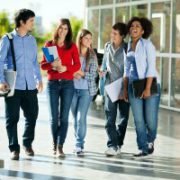 Are you looking to do your own fun customizable campaign? 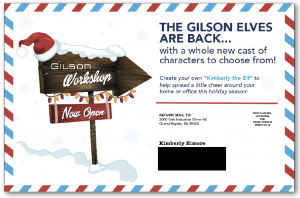 Whether it’s a holiday or a fun work or client event, contact the team at Gilson to make your dream campaign a reality.